A mosquito-borne disease is being spread across Europe by travellers who have visited Madeira, the European Centre for Disease Prevention and Control (ECDC) has warned. Twenty-five cases of dengue fever have been traced in European countries including Britain, Germany, France, Sweden and Portugal itself, it said. This is on top of the 1,357 cases reported in Madeira since the outbreak began at the beginning of October. Nearly half of the cases have been confirmed, while 688 are listed as probable cases. The ECDC said the outbreak is "large and constitutes a significant public health event". 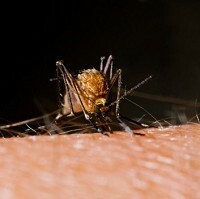 It said the transmission of the disease globally has increased dramatically in the past 20 to 30 years, and Europe was now enduring its first sustained transmission of dengue fever since the 1920s. The viral infection causes symptoms ranging from mild flu-like illness to more serious conditions such as bone pain and rashes. For 5% of patients, the disease is severe and can be fatal. Holidaymakers planning to travel to Madeira should check the latest travel advice and ensure they have medical travel insurance in place. The ECDC is working with EU countries and the European Commission to keep track of cases involving returning tourists.